Rumours of a possible Earth-like exoplanet first surfaced on August 12 in the German weekly Der Spiegel. 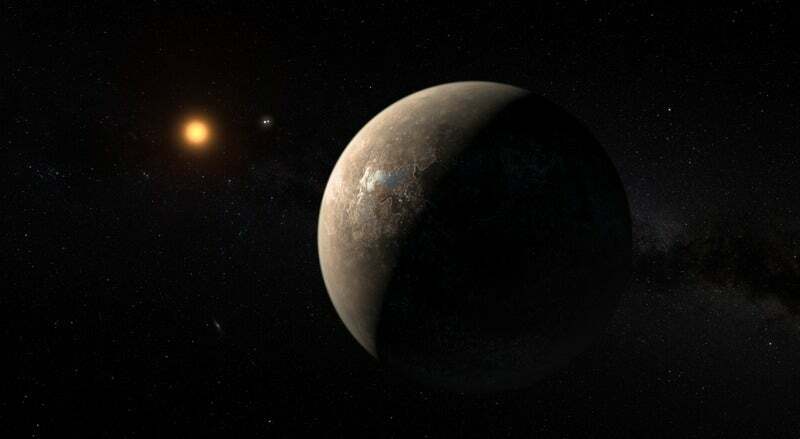 Citing an anonymous source with the La Silla Observatory research team, the magazine claimed that the rumoured planet "is believed to be Earth-like and orbits at a distance to Proxima Centauri that could allow it to have liquid water on its surface — an important requirement for the emergence of life". *** Its orbit is 7.5 million kilometres from Proxima Centauri, just five per cent of the distance between Earth and our own Sun. 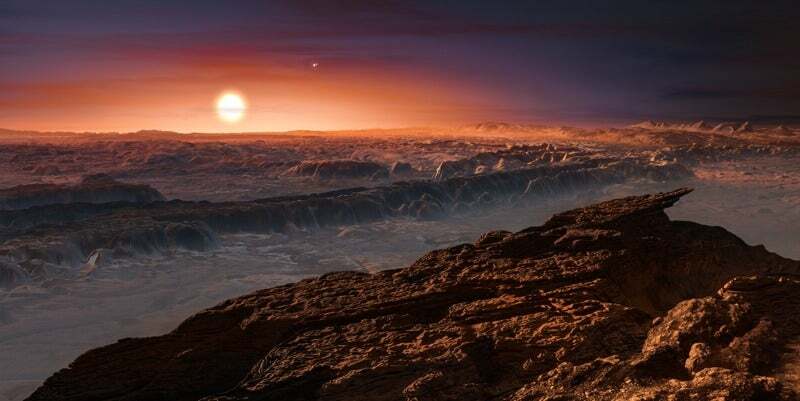 But the star is also much cooler than our Sun, so Proxima b still lies within the so-called "habitable zone" for exoplanets, with temperatures sufficient for water to be in a liquid state on the surface. Since the first exoplanet was discovered in 1995, astronomers have identified more than 3000 such bodies orbiting distant stars. 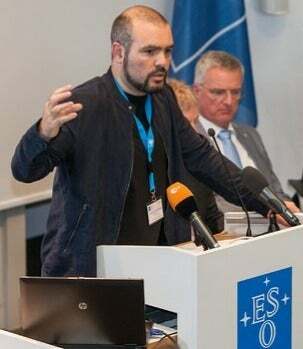 "We live in a universe that is teeming with terrestrial planets," Pedro Amado of the Instituto de Astrofisica de Andalalucia said during a press conference this morning. Red dwarf stars like Proxima Centauri in particular are believed to be rife with small, rocky Earth-sized planets. According to lead author and project coordinator Guillem Anglada-Escude of Queen Mary University of London, the first hints of this new planet appeared in 2013, but there was insufficient evidence to claim discovery. The latest observation campaign is called Pale Red Dot (because Proxima Centauri is a red dwarf), inspired by Carl Sagan's famous description of Earth as a pale blue dot. The team of 31 scientists from eight countries relied on the Doppler effect to detect a faint wobble in Proxima Centauri's spectrum of light, which approaches and recedes from Earth every 11.2 days at around 5km/h. Such a wobble could be caused by the gravitational pull of an orbiting planet. By combining data from the Pale Red Dot campaign with earlier data collected between 2000 and 2014, the astronomers confirmed a sharp peak — well above the threshold for discovery — in the Doppler shift data indicative of an Earth-sized exoplanet. The technology to detect Proxima b has been around for at least 10 years, so why has it taken so long for astronomers to make the discovery? It's because Proxima Centauri is pretty active as stars go, and its natural brightness can mimic the signal of a possible planet. The team relied on observations with two other telescopes to chart how the star's brightness changed over time, enabling them to exclude the possibility of a false positive. There is just a one in 10 million chance that this signal is a false positive, according to Anglada-Escude. conference in Garching, Germany, this morning. It's not yet clear whether this new exoplanet has an atmosphere. Because Proxima Centauri is a fairly active star, Proxima b suffers X-ray fluxes approximately 400 times greater than what we experience here on Earth, and this could cause any atmosphere to blow away. "There are many models and simulations that produce very different outcomes, including possible atmosphere and water," said Reiners. "We have no clue, but the existence of [an atmosphere] is certainly possible." That would bode very well for the possibility of the planet harbouring life. 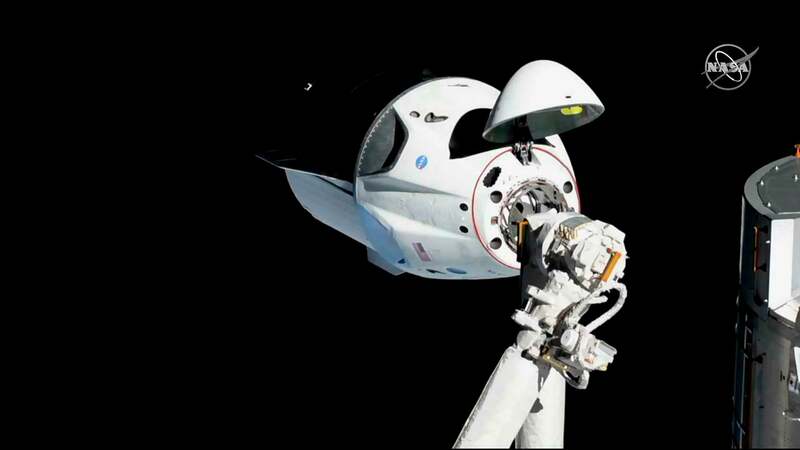 And the relative closeness to our solar system makes robotic exploration feasible within a generation. "The lifetime of Proxima is several trillion years, almost a thousand times longer than the remaining lifetime of the Sun," Harvard University's Abraham (Avi) Loeb, who chairs the advisory committee for billionaire Yuri Milner's Breakthrough Starshot Initiative, told Gizmodo. "A habitable rocky planet around Proxima would be the most natural location to where our civilisation could aspire to move after the Sun will die, five billion years from now." Announced to great fanfare in April, the Starshot Initiative is a $US100 million ($131 million) research and engineering program seeking to lay the foundations for an eventual interstellar voyage. The first step involves building light-propelled "nanocrafts" that can travel up to 20 per cent the speed of light. Such a spacecraft would reach the Alpha Centauri star system just over 20 years after launch. Currently, the project's scientists are trying to demonstrate the feasibility of using powerful laser beams to propel a lightweight sail. 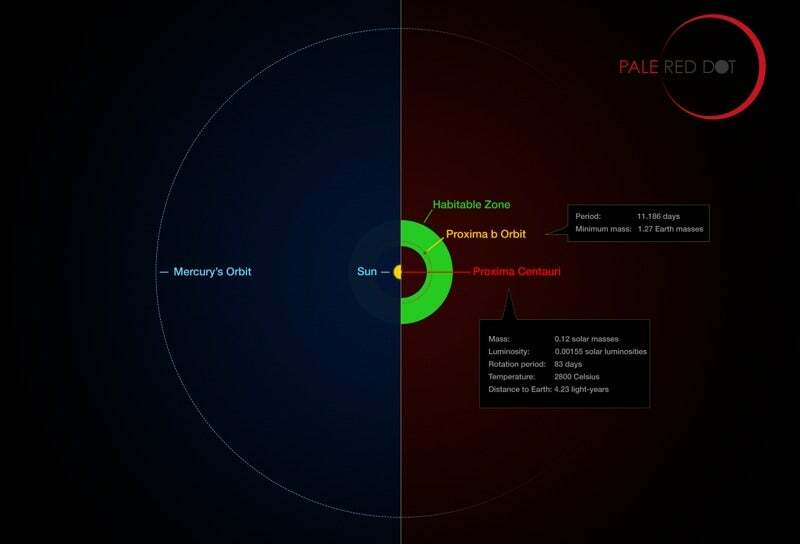 According to Loeb, the discovery of a potentially habitable planet around Proxima Centauri provides an excellent target for a flyby mission. "A spacecraft equipped with a camera and various filters could take colour images of the planet and infer whether it is green (harbouring life as we know it), blue (with water oceans on its surface) or just brown (dry rock)," he told Gizmodo. "The curiosity to know more about the planet — most importantly whether it hosts life — will give the Starshot Initiative a sense of urgency in finding out more facts about the planet, especially those that cannot be inferred with existing telescopes from our current vantage point on Earth." "We certainly hope that within a generation, we can launch these nano probes," Peter Warden of the Breakthrough Prize Foundation said during this morning's press conference — perhaps by 2060. "We now know there's at least one very interesting target that's within range of our proposed system. We can get the images to see if there is life there, possibly advanced life. Those are the great questions, and I think they're going to be answered this century."